Melbourne residents need not look far when they need new car tyres, because we’ve got the best selections for them and our specialist crew close by. 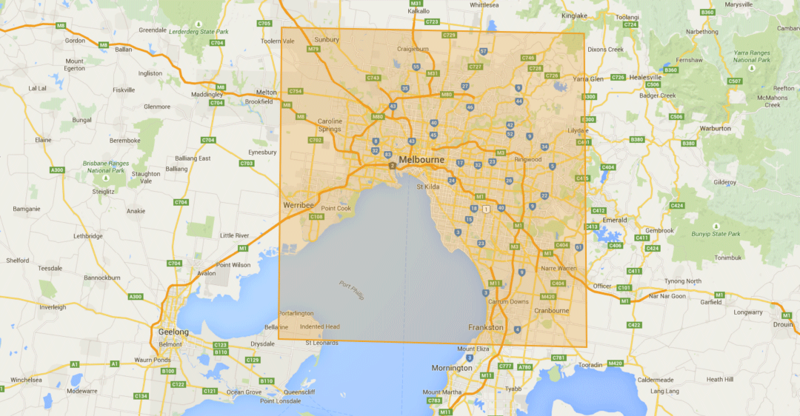 If you’re in Melbourne and looking to get top quality tyres for your car, give us a call. 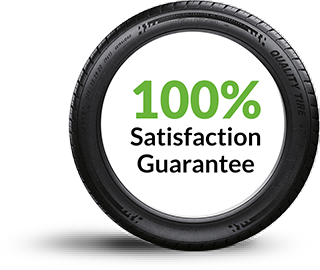 We are the leading mobile supplier of high quality, competitively priced car and 4x4 tyres in Melbourne. Our range includes everything from top of the line brands like Maxxis tyres Australia to more budget brands. With such an extensive range of products available, we can provide the perfect ones for just about any type of vehicle. Just tell us what car you drive and the budget you’d like to spend, and we’ll find the ones that are most suitable to your needs. On top of stocking the most trusted brands of car & 4x4 tyres in Melbourne, we also offer a variety of tyre services in the metropolitan area. So, if you’re unlucky enough to get a flat or punctured tyre, just give us a ring and your local, professional Road Runner Mobile Pit Crew will be there to the rescue wherever you are – and change tyres on the spot. We operate seven days a week, so whenever you need your tyres repaired, or if you want to replace your car tyres in Melbourne over the weekend, just give us a call. Tell us where you'd like us to go and what time you want us there and we’ll be there. We can work at your home or office, and even without your supervision. We can make the necessary repairs to ensure your car is roadworthy again in as short as one hour. Our crew have undergone training and have the experience to deliver exceptional results every time. You can be assured that your car is in the best hands with our mobile pit crew. Feel free to read about us here. If you’re looking to buy tyres available, simply give us a call or send us any enquiries you may have on our contact page. We would love to hear from you. Thank you SO much for your incredible service over this past long weekend. Being stuck at a moments notice with a punctured tyre, and without a spare (good one Mini !!) your team was on the road to me with a new one almost instantly. Excellent customer service. Call back and prompt arrival. Great communication. Repaired the tyre – didn’t make us buy a new one even though I thought we needed it. Steven was prompt and courteous when I rang and absolutely understanding of the stress I was in. Lindsay was professional, friendly and efficient in changing my damaged tyre and I appreciated his light-hearted conversation that lowered my stress levels. Really happy and satisfied with these Road Runner Mobile Tyres members and I will be using their services again to replace my spare tyre. Super impressed that Road Runner Mobile Tyres took a VERY stressful situation and turned it into something positive. Absolutely fantastic customer service, follow up, could not recommend highly enough. Thank you Lindsay in Brisbane from Road Runner Mobile Tyres !! What absolute awesome service I got on a Sunday. Highly recommend you guys. I had Lindsay come out on Monday to sort out the tyres on my Audit. Your service and communication was amazing. Thank you to Steve, Eddie and team in arranging and replacing my flat tyre. Within 15mins of lodging my query on your website, Steve contacted me and made an appointment to come to my office. Will definitely come back when I need new tyres. Have already passed on details to colleagues. Just wanted to say thanks for the awesome service Darren (from Sydney Office) provided recently for me. I was about to head off on a 1200km round trip and needed 4 new tyres he was fast, thorough, and very competitively priced! Great stuff, you people. So good to know that you are around when horses are being floated through metropolitan areas. It can be a very dangerous situation when things go wrong with horses on floats, and you help alleviate that worry. Thanks to Charli and the Road Runner crew for coming out and changing my 4 tyres last night. Great price and fantastic service ! I highly recommend Road Runner Mobile Tyres. Thanks a lot. Really appreciate the quick, efficient and friendly service from everyone! Just had my tyres replaced by you guys! Thank you so much. Amazing business! I think your service is fantastic, thank you – and the young man who “rescued” me was extremely courteous, helpful, friendly and patient. He even swept broken glass off the roadway for me before I left, in case I punctured another tyre ! I have already advised my lease company of your service and provided them with your phone number and details. Thanks again, and I hope that your business goes from strength to strength. Thank you so much for responding to our urgent request so quickly. Very impressed ! Have already begun recommending you to our neighbours. Great service from Todd !! Darren & Scott were just great I will definitely recommend you. Thank you to Steve who took my call this morning & to Eddie who came out to fix the puncture for a great & no hassle service & prompt response. I will definitely be recommending to work colleagues, friends & family. Amazing service by Scott and Todd in Sydney. Todd arrived an hour and a half after we booked the appointment, and 2.5 hours earlier than first expected. All of this on a Sunday ! Plus we got given jellybeans with the business card. Will definitely be recommending and using your services in the future. Thank you!! Thank you so much on your assistance, Scott was excellent on coming to do my tyres yesterday morning and I’m very pleased with your service ! Thanks again, a very happy customer. Great quick service, paddy was great !!! Thank you for your fantastic service from beginning to end! I don’t know what I would have done without you. I just wanted to let you know how impressed I was with your service. I called in to book yesterday and I had someone here this morning……he was very friendly and professional and was on time exactly when I was promised he would arrive. I will definitely be using your service again in the future should the need for it arise, and I will be recommending your service to my friends. Thank you. You have a first class operation. Both your phone and road side service left me feeling that I was in the best hands, and it all happened so swiftly. Thank you. Thank you so much Dorothy ! Outstanding service !! Will definitely recommend Road Runner Mobile Tyres. Just wanted to thank you for the prompt service. Eddie was ever so professional and polite. I will not hesitate to call you again should I require your service in the future. And I totally recommend you to any of my friends. I have to say I was very impressed with the original set-up etc and your team member that came on site was exceptional, approached the job professionally and definitely customer service focussed. I will be passing on your company name and contact details to my staff and other extended family members. I just wanted to thank you all so much for your help. Scott arrived early and was able to sort everything out for me so I had plenty of time for school pick up. Found out I needed 2 new tyres, just when the family was driving away for school holidays. Since I didn’t have time to take the car to the tyre man myself, I rang Road Runner Mobile Tyres who went to my house to change the tyres for me! A seamless experience with a great friendly team when you are too busy to take the car yourself! Thanks guys! Thanks Steve & Road Runner Mobile Tyres – I didn’t have to leave my office and I have new tyres and a wheel alignment! Brilliant, super, fast service. Recommend this to anyone in Sydney needing new tyres and is time poor 5 days a week! Cheaper than going into a store in so many ways! Just wanted to say what a great service this is, really very happy with the service Todd provided us today. Thanks again.